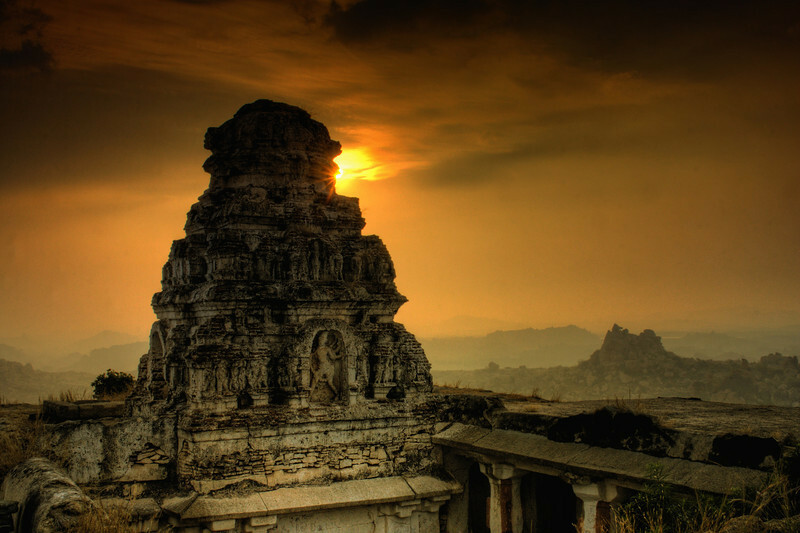 Hampi apart from the historical ruins is an awesome place for trekking and rock climbing too. Matunga hill @ Hampi is one of the best spots for watching sunrise at Hampi. It was a bit difficult hike up, especially if you are not aware of the route. It is better to have a guide if you planning to hike up in the dark for sunrise. But the views are well worth it, they are pretty amazing. This week shot is of the temple ruins, right on top of the hills. The sun was playing hide and seek as the mist was starting to clear. This was taken just moments after the sun rise shot that I had shared in the past. wow the scene changed so dramatically with light , angle and direction !